What we wear affects everything: our mood, our self-confidence, our success, and even our home. It makes sense that the colors we enjoy wearing should follow us into the rooms we decorate. And they do. If you take a glance through the clothes racks in your closet, you may see a color trend that pops right out: neutrals like black, white, gray or beige? Brights like reds and purples? Nature colors like greens and blues? What you see in your closet may very well help you pick a color palette that not only looks good in your home but also coordinates with you. Grays are popular in fashion everywhere now (photo http://www.vince.com). And in the home, gray is still the new Linen White. It provides a neutral backdrop for any accent color and gives young home owners something different from the creams and beiges they grew up with. 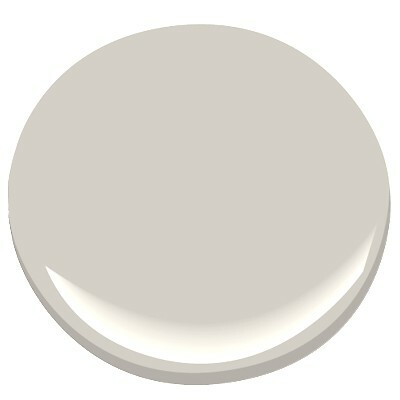 One of my favorite grays is Benjamin Moore’s Abalone 2108-60. It has a subtle warmth that looks great with stainless in a kitchen, white trim in the living room, or dark woods in a master bedroom. A touch of silver metal adds the sparkle. Next time you’re stuck wondering what to paint a room, think about what colors you like to wear. And go from there. You are currently reading Fashion Colors and Your Home at Your Home & Color Coach.